The embryos can be frozen and stored at a low temperature for future use just as with sperm and oocytes. In order to carry out this embryo storage, a procedure of embryonic freezing has to be done. The old way of embryo freezing didn’t have good successful rates of implantation. But now the best technique in the world is vitrification. The new, advanced method known as Embryonic Vitrification offers greater effectiveness in survival of the embryos as well as a better rate of implantation, clearly increasing pregnancy rates. Vitrification cools the cells in an extraordinarily fast way, unlike the classic freezing process. The liquid therefore does not have time to form crystals. Therefore there is no damage to the embryos caused by ice crystals which are formed during the slow freezing technique. In the past, they were slowly cooled in order to avoid the water surrounding and inside the embryos becoming ice. However, vitrification cools the cells immediately at a speed greater than 15.000º C per minute so that there is no time for ice to be formed, but instead a kind of gel appears leaving the cells undamaged. 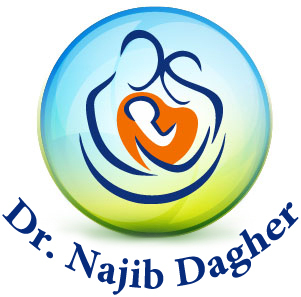 Thus, we can ensure that fewer embryos are damaged and can provide better rates of implantation. Now by using vitrification, more than half of them achieve pregnancy. You may do a frozen embryo transfer (FET) cycle, if you have frozen embryos and wish to use them. This may be after a successful IVF cycle and the delivery of a child, and you wish to come back and use your frozen embryos. It could also be after an unsuccessful stimulated IVF cycle, in which you have obtained frozen embryos.